It is a common myth that Google uses Natural Language Processing in its search algorithms, but true NLP is still something search engines struggle with even today. So what does Google do to compensate for this shortcoming? This session will help you understand the history of how Google processes data and query language plus how structured data and Rank Brain are assisting them in making the best match for user search and what that means for you and your site. 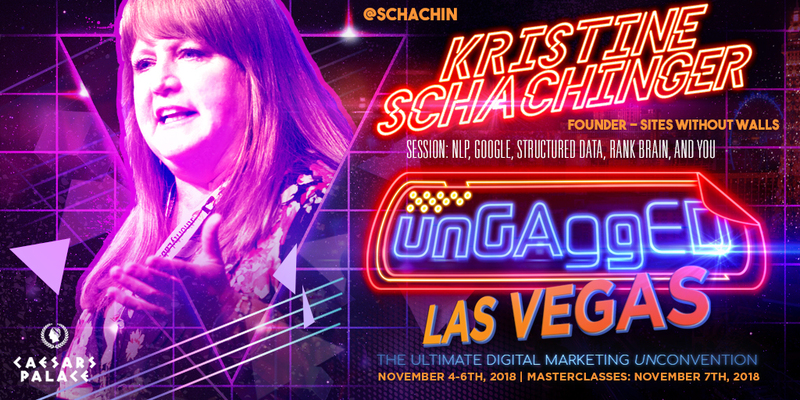 In her talk, Kristine tracks the evolution of how Google handles data and query intent, and what you need to do in order to better your site. And almost as importantly, how does Rank Brain fit into all of this? Should you optimize for Rank Brain? This sessions will show you how to better optimize your site for how Google interprets language.